INDA BUKHOSINI, a master's graduate from New York's Juilliard School, is widely recognised as one of Africa's prominent arts' leaders, noted for her directional vision. 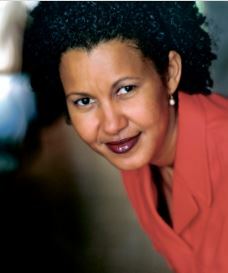 She is the chief executive officer and artistic director of The Playhouse Company in Durban, where, since taking office, she has played a major ole in establishing equitable distribution of performance opportunities for artists and art forms expressive of all sectors of the South African community. Since Bukhosini took over the helm of The Playhouse Company, it has achieved seven clean audit reports since 2011, having been preceded by four unqualified audit reports between the periods 2007 and 2010. In line with the standard practice of good governance and responsible citizenship, The Playhouse Company continues to offer quality services to the artistic community and audiences alike in Durban, KwaZulu-Natal. Under the helm of Bukhosini, artistic programming at The Playhouse reflects quality productions that nourish the soulful artistic palette for both arts practitioners and audiences alike and programming that is relevant to nation building, which celebrates diverse cultural and artistic heritage. The Playhouse has become synonymous with staging award-winning productions of the highest calibre, such as Westside Story, Handel's Messiah, Cinderella, David Mamet's Race and the most recent box office hit, The Sound of Music. All of these productions featured the crème of South Africa's artistic crop, yielding wide public and critical acclaim. Bukhosini has introduced a series of trailblazing initiatives into The Playhouse Company's management. These include annual programmes such as ongoing community arts development initiatives. These initiatives are geared to provide a step-up for semiprofessional artists. The initiatives include The Playhouse Company's hosting a regular Arts Network Forum that engages with artists at grassroots level throughout the Durban region. Another popular development project is the bi-monthly Test Driving the Arts lunch hour concerts, which create a platform for entry-level artists to gain exposure and performance experience opportunities at The Playhouse. Other notable achievements in Bukhosini's administrative portfolio have been the on-going presentations of the National Isicathamiya Programme and the annual South African Women's Arts Festival, each of which is held under auspices of the Playhouse Company in Durban every year. Closely linked to her passion is the sustainability of the arts and the creation of new artistic work. Under Bukhosini's leadership two residency programmes have been successfully implemented in the form of the Playhouse Dance Residency and the Playhouse Actors Studio. Within these programmes, artists receive the opportunity for further development and training in various fields of the performing arts under the guidance of seasoned professional mentors. Furthermore, they are schooled in the "business" of the arts and encouraged to start their own companies, with input and guidance on various related administrative matters. In the global arts sector, Bukhosini is an active member of the International Society for The Performing Arts (ISAPA). She was responsible for mounting the first ever ISPA conference to be presented on the African continent. This ground-breaking venture, which was organised and hosted by The Playhouse Company in Durban in June 2008, proved to be a highly successful event, which garnered a stream of appreciative feedback from delegates. Bukhosini's well-informed business strategy within the arts stems from her passion and personal accomplishments as a highly respected artiste. Behind the scenes - as one of South Africa's eminent sopranos - Bukhosini is noted for her highly evolved performance skills. She has appeared with leading conductors and world-renowned musicians in South Africa, the UK, Brazil, Germany, the United States, Russia, India, Malaysia and Algeria. As a guest artist, Bukhosini has performed for many leading dignitaries including state presidents.